Love the sentiment behind this poster. 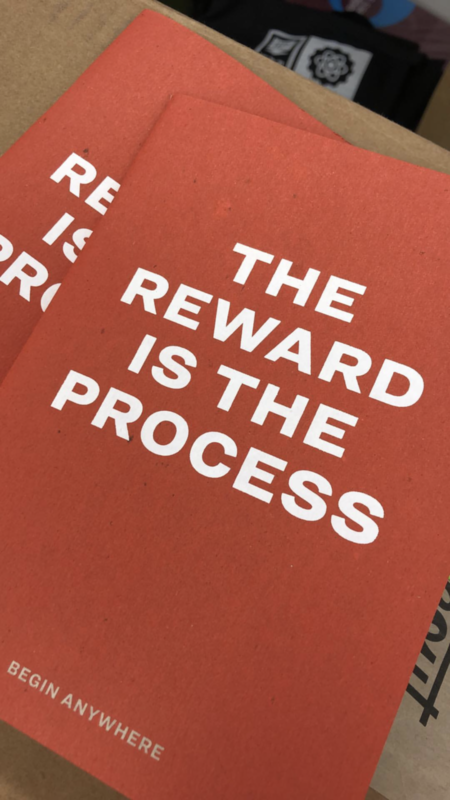 The reward is the process. Years ago, when I was learning printing techniques, one of my professors told me to "trust the process." Pretty sure there are some analogies to teaching and learning in the digital classroom in both of those statements about the process. Did you know facebook has a print shop? What started in Palo Alto as a space for artists and employees to practice analog print and design has grown to other facebook outposts. This picture is from a recent pop-up MakerSpace in Dublin, Ireland.